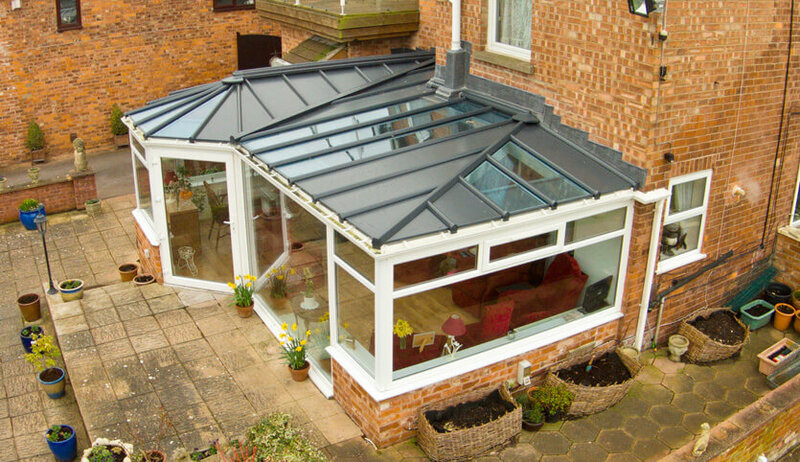 If your conservatory could do with some love and attention, a LivinROOF could be just what it needs. Offering beauty both inside and out, it can turn your conservatory into an extension without the hassle. These can be incorporated into your new conservatory or easily added to an existing structure that needs an upgrade. They also have the advantage of being quicker to install than other solid roofs. You can enjoy your new and improved conservatory in no time. The LivinROOF is a high-performance roof system that lets you enjoy large areas of glazing combined with solid sections. The beauty of this is that you can vary the glass to solid ratio to suit your home’s needs. Using composite panels, this lightweight roof is both attractive and insulating. With anthracite grey on the outside, LivnROOFs look truly sophisticated. They can incorporate a classic cornice to hide any guttering and give a clean and attractive look. The interior of a LivinROOF is as impressive as the outside. With a perimeter vaulted ceiling, you are given a bright and airy space that is always a joy to be in. 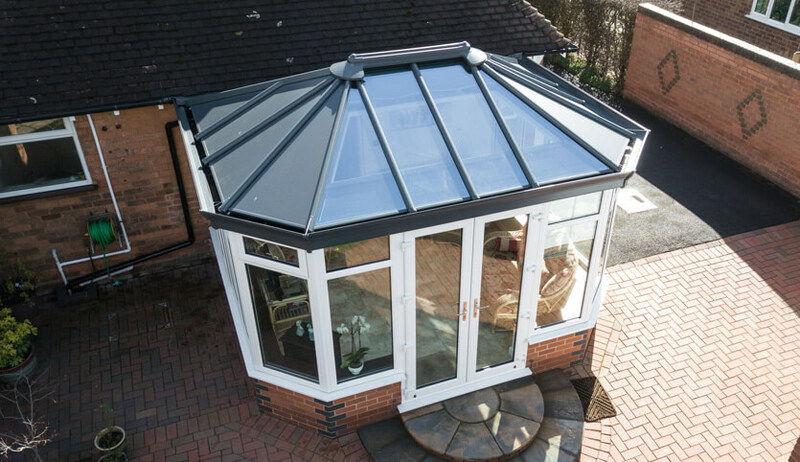 This allows your conservatory to blend in with your home internally as well as externally so feels like a natural extension. The celling can even have integrated spotlights and speakers to give you a truly modern and impressive room. The roof system is strong enough to hold a chandelier to give your new dining room that final touch of class. 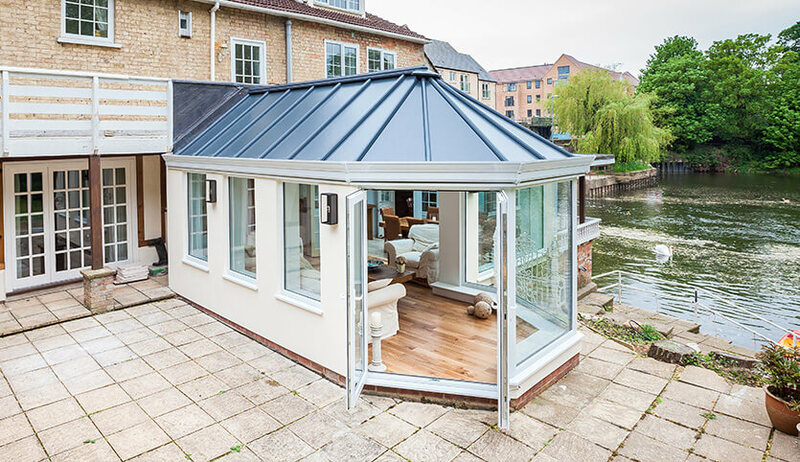 The LivinROOF can be installed on any existing conservatory style including ones with shallow pitched roofs like a Lean To. 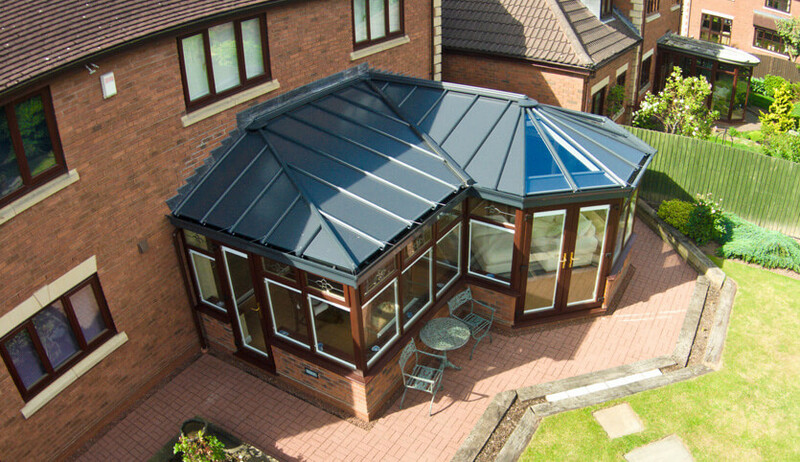 As it looks very different to a traditional conservatory roof, it can blend in more easily with the rest of your home. It can be up to 50% glazed if you like to allow in as much natural light as possible. However, if your garden is overlooked you can limit the glazing to maintain some privacy. 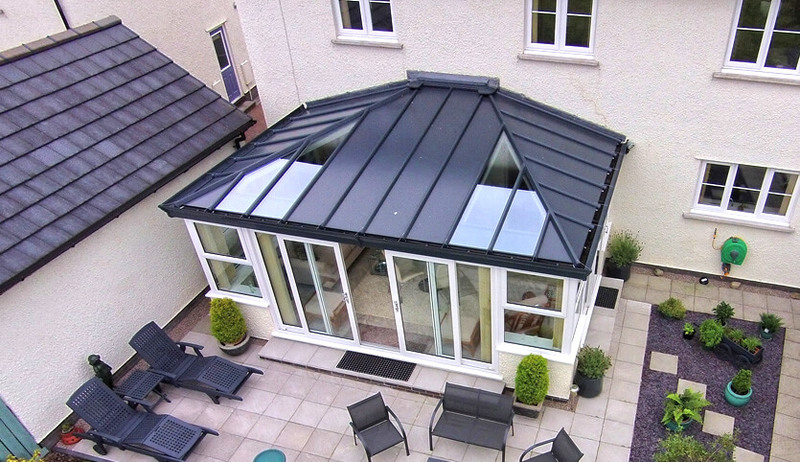 A LivinROOF is five times more energy efficient than a traditional glass roof. Your conservatory, orangery or extension will feel comfortable all year round with ultimate thermal performance.